Next Wednesday, May 11, starting at 8:00 p.m. ET, my Top Shelf Oldies (topshelfoldies.org) show will be devoted to this year's I.R.S. 10-90 survey, as compiled by Rich Appel. I'll be featuring songs from this year's Top 109 countdown, and I'll be announcing how a listener can win a copy of the souvenir 5-CD box set containing all 109 songs on the countdown. The deadline for entering the drawing for the CD set will be the following Wednesday, May 18. Speaking of radio shows, deejay Phil Nee is putting together a five hour special based around our recent SWEET 16 theme, "What's The Name Of That Song" ... songs we all know by heart where the title of the song never appears in the lyrics. I told you we came up with just over a hundred titles ... and Phil will be airing eighty of them on his May 14th show. I recently did a radio interview show for the Jersey Girls Sing website with legendary session drummer Hal Blaine, whose accomplishments are massive. He played on more hits than any other drummer in the rock era, including 37 #1s and 150 top tens. He played on seven Grammy Records Of The Year, six of which were consecutive (1966 through 1971) . He named, formed and played with the musicians known as the Wrecking Crew and worked with dozens of recording artists. He joined the Rock And Roll Hall Of Fame in 2000 as one of the first sidemen to be inducted. To access the interview show, please click the following Jersey Girls Sing link -- http://www.jerseygirlssing.com/ -- and when the home page comes up, click on either of the two Hal Blaine images. Always such cool info each week. Love to see all my friends doing so well. Next March 18th I'm part of the best music cruise of the year. Take a look at who is on the ship with me. To quote Mr. Hope: Thanks for the memories. In THIS lifetime -- the only one that counts -- my new album, MAGELLAN WAS WRONG, is due out on ACE Records in June or July. Always grateful for your keeping me in your mind and your column / blog. The "Official" Keith Emerson Tribute Concert will be held Saturday, May 28, at the El Rey Theatre in Los Angeles, presented by Goldenvoice. 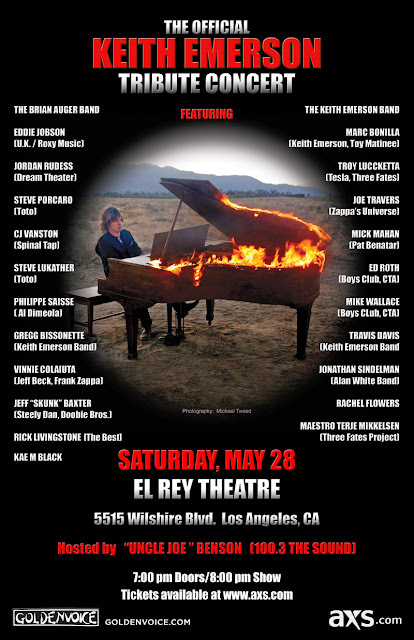 It will be a retrospective of Keith's entire career from the Nice, to ELP, to the Keith Emerson Band and Three Fates Project. 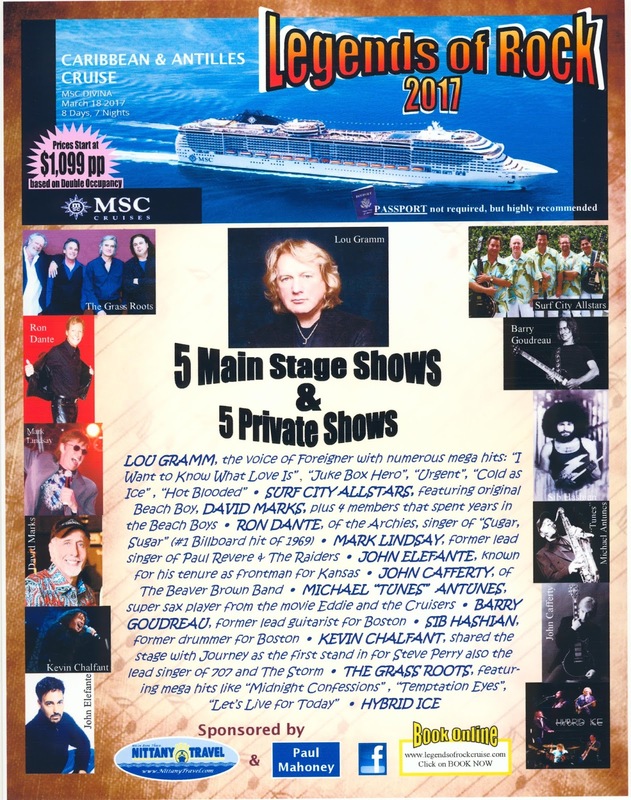 Many of the artists who were close friends and have worked with Keith will be performing some of his most famous works. After Larz from Chicagoland Radio and Media ran a piece on Tuesday about the missing footage from the "Cornerstones Of Rock" DVD, as first profiled here in Forgotten Hits (by way of several emails received from disgruntled PBS contributors who felt that they had received less than they were expecting ... or led to believe they should be expecting), he heard back from the COO of WTTW. I talked with the COO of WTTW. He had a fairly logical explanation. - PBS can broadcast all the music they want without worrying about solidifying the rights.- When it came to the DVD / CD, they could not get confirmation of the rights to "Gloria." - "Louie Louie" was (and I'm quoting him) a "hot mess." The sound quality was wrecked and they could not fix it. - None of this was on purpose. They had truly hoped to release the full broadcast on DVD. Personally, I think this should have been noted on the packaging in fine print somewhere, but I'm guessing they hoped few would notice. Based on the mail that you've received, obviously that wasn't the case. Executives with WTTW-TV have responded. There were a few reasons behind the changes with the DVD and CD releases that were beyond WTTW-TV's control. When airing the television special, PBS had a blanket rights plan to broadcast music performances. In December when WTTW-TV began to solicit donations for the to-be-created DVDs and CDs, they thought they would be including every song from the "Cornerstones of Rock" special on the perks for donors. However, when it came time to creating the discs, a question arose over the rights to the song "Gloria." Rather than delaying the discs any longer or risking a legal challenge, a decision was made to simply remove "Gloria" and any mention of the song from the DVD and CD releases. With "Louie Louie," the problem was with the audio quality. While it was fun for the TV broadcast and for those in the audience, the fact is that the impromptu jam on the garage rock classic did not have the sound quality that the rest of the evening's performances had. Attempts at bettering the sound quality were unsuccessful. Once again, a decision was made to simply remove the song from the DVD and CD release, instead of delivering a sub-par track. "Get It On," the one hit from Chicago group Chase was included on the DVD, but not on the television airing, making it a bonus for those who donated to Chicago's PBS station for the perks. The REAL shame is that several entire performances of songs performed by these artists that night were cut that COULD have been included as "bonus footage" had somebody been a bit more creative on the editing end of things. Brand new interviews could have been interwoven with vintage television clips of all of the artists performing from back in the day. This collection could have been SO much more than it is had just a little bit of thought been put into the overall project. They had dozens and dozens of hours of additional footage that could have been culled together to turn this into a much more memorable (and fan-friendly) pieces ... they just chose not to use any of it. (Larz feels that some sort of disclaimer should be placed on the WTTW website warning fans interested in purchasing this set that it contains and "edited version" of the PBS concert special ... and he's probably right ... otherwise we're just going to continue to receive letters from disappointed fans who were expecting the whole show ... and then some. I did break down and watch one of my copies of the Cornerstones dvd. Basically what they did, from the edited televised version, was delete the group Louie Louie finale and insert the Chase Tribute in its place. I am now surprised they didn’t leave in the pledge drive breaks. That’s it. It is still very well done, but a huge disappointment. I was really looking forward to Sunshine Psalm, Up on the Roof and Sometimes Good Guys Don’t Wear White. When that 45 came out most of the good bands in our area covered Good Guys and not Dirty Water. Most people only listen to the “A” side, so if you cover the “B” side everyone thinks it’s your original song. These three songs, although performed that night, are nowhere on the DVD. No, I think we've already got all that we'll be getting. As I stated earlier, I would have LOVED to have been able to purchase a 2-DVD set featuring the entire COMPLETE performance as it aired on WTTW as well as a "bonus disc" featuring performances trimmed for editing purposes along with interviews with these artists about what it was like having all these hit records back in the day and how it feels now, some fifty years later, to still see the loyal fans turn out for all these shows. That, interspersed with original television footage from back in the day and this could have been one hell of a package, marketable to fans outside the Chicagoland area as well. Here's how things shaped up in Australia 50 years ago today ... check out this vintage chart from down under! Topping the chart is The Beatles with "Nowhere Man" / "Norwegian Wood". (Here in The States "Nowhere Man" was backed up with "What Goes On" ... and back home in The UK, "Nowhere Man" wouldn't be released as a single at all. The Rolling Stones have a two-sided hit at #18 with "As Tears Go By" / "19th Nervous Breakdown" (both separate A-Sides here in The States) ... and they're also represented at #12 with "The Fortune Teller". Herb Alpert and the Tijuana Brass have a two-sided hit at #20 with "What Now My Love" / "Spanish Flea", as do The Beach Boys one spot behind them at #21 with "Sloop John B" / "You're So Good To Me". Nancy Sinatra falls out of the #1 spot to #2 this week with her first big hit "These Boots Are Made For Walkin'" while our FH Buddy Bob Lind jumps ten places with "Elusive Butterfly" (from #20 to #10). Also scoring multiple hits on this week's Top 40 are Herman's Hermits (#19 with "Leaning On The Lamp Post" and #22 with "Listen People") and Petula Clark (at #30 with "My Love" and at #37 with "A Sign Of The Times"). 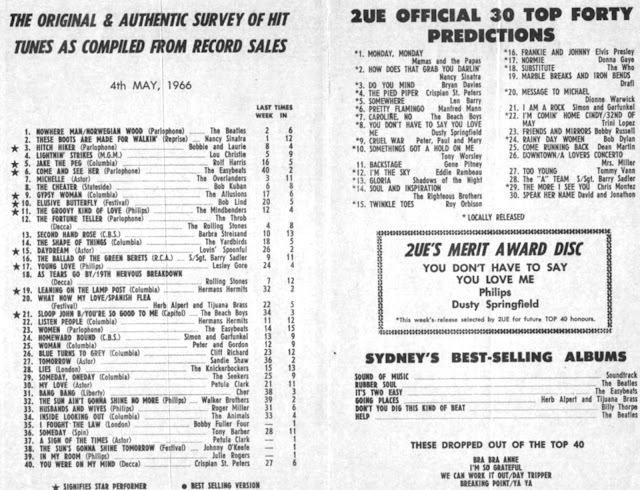 In addition to the regular Top 40 Chart, an additional 30 hits are listed as "predicted hits". You'll find some pretty big titles on this list, including future smashes like "Monday Monday" by The Mamas and the Papas, "How Does That Grab You Darlin'" by Nancy Sinatra, "The Pied Piper" by Crispian St. Peters, "Caroline No" (shown here by The Beach Boys, even though Capitol Records released it as a Brian Wilson single), "You Don't Have To Say You Love Me" by Dusty Springfield, "Rainy Day Women" by Bob Dylan, a two-sided hit by Mrs. Miller ("Downtown" backed with "A Lover's Concerto), "Soul And Inspiration" by The Righteous Brothers and even Chicago's very own Shadows Of Knight with "Gloria" ... an up 'n' coming hit Down Under just as it was here in The Windy City! I think it's a real shame that the Jimy Sohns / Gloria segment was cut from the DVD. It was one of the televised concert highlights and it has always been one of the best representations of the Chicago rock scene of the 60s - not to mention a true, garage band classic. This is especially sad news after Jimy's recent stroke. Some kind soul has posted a few clips on Youtube, which I promptly downloaded. Clips from the broadcast have been circulating ever since the original taping ... you'll find performances from the live shows online, too ... but fans who shelled out upwards of $100 - $150 shouldn't have to search online for footage of Jimy Sohns and The Shadows Of Knight performing "Gloria" ... it should have been included on the disc they purchased through the television station. (A further review of the DVD against the original program that I DVR'd shows that the entire Jimy Sohns interview about "Gloria" is also missing from the disc ... as is the full ensemble finale performing "Louie Louie". (Without question the TOP TWO ALL-TIME GREATEST GARAGE BAND CLASSICS have GOT to be "Gloria" and "Louie Louie" ... yet in a program based around the theme and genre of "American Garage", BOTH of these songs were omitted from the DVD ... and that's just wrong. Upon further review, I paid particular attention to the pledge drive breaks to see how they presented the contents of the DVD. While I couldn't find a single instance of them mentioning anything about "bonus footage", on at least six occasions they DID offer up DVD copies of "the program you are watching right now" ... which clearly isn't the case. Fans (and there are PLENTY ... this has to be one of the biggest fund-raising ventures the station has ever had ... and both subsequent live shows were complete sell-outs as well) deserve better and we will continue to address this issue in Forgotten Hits. In fact, our FH Buddy Larz of Chicagoland Radio and Media is picking up our cause and looking into this matter as well. We're hoping that he'll be able to provide some answers and insight into just how and where this all went wrong. (To the best of my knowledge, PBS subscribers who make substantial donations during these pledge drives typically get "bonus footage" not shown during the original broadcast ... this is the first time I've ever heard about getting LESS!!!) And, having interviewed most of the artists who participated, I know that each band performed at least another song or two that was edited from the television broadcast that fans who weren't able to attend the taping were now hoping to see. Key members of every group also did brief interviews which they thought would be edited into the dvd release ... but that didn't happen either. 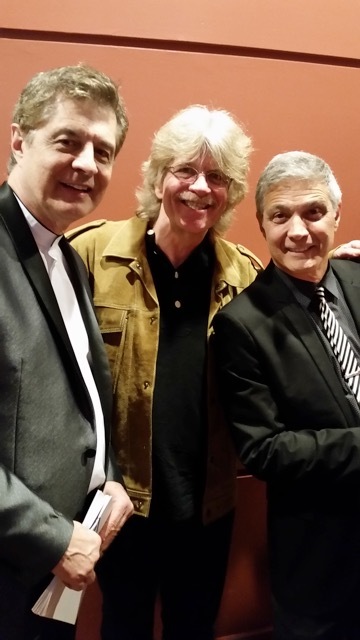 I went to the Cornerstones Of Rock show in Skokie last night, and it was a blast! Afterwards I did the ‘meet & greet' with a handful of the performers. I’m still on a cloud … I just purchased a couple tix for the 9/3 show — they’re goin’ fast! PS — I passed on getting the Ch 11 concert DVD for sale, ‘helplessly hoping' they might reissue the full performance. With regards to Davy Jones of the Monkees, he first came into prominence way back in the UK television soap Coronation Street, where he played the son of one of the leading characters in the series and I believe before that with no connection whatsoever to do with television, I believe he also trained as a jockey here in the UK. It would not have been a stretch for Bowie's VOICE to be compared to Newley's in 1966. You can hear it here. It's certainly a lame version, but you can hear the inflections. Bowie's "Rubber Band" is indeed strange with tuba, so they got the description correct. Tony's songs with Bowie are really quite good and sound vocally much alike he always has. Anthony Newley is not far from this "Rubber Band" hokey stuff, from 1967. It would seem that Bowie took two steps backwards after leaving Tony Hatch, judging by this Dream US 45 after Tony's nice 45s. I really am guessing that the MONKEES' David Jones was very possibly known by Bowie well before he was a pre-fab. David Jones was in theater in England and known to some extent. His Colpix 45 was also released there in 1965, causing more conflict possibilities. 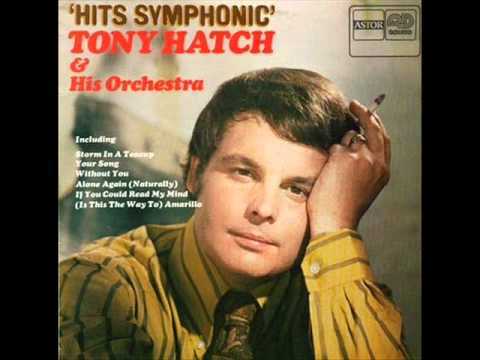 Meanwhile, this TV theme by Tony Hatch could easily have been background for Bowie's vocal styling's later on?? I wonder if Bowie got any ideas from this for his "Space Oddity" hit later in the 60's??? And finally, here's a Tony Hatch (and then-wife) song that could have easily been a 1970 Montanas single too. I am a bit perplexed as to how “I CAN’T GET NEXT TO YOU” makes the top 16 list of Motown 60’s hits when “MY GIRL” is nowhere to be found. I was unable to come up with solid sales figures, but “MY GIRL” was certified platinum. I can’t find any evidence that “I CAN’T GET NEXT TO YOU” even made gold. I am arguing numbers here exclusively here. I love both these Temptations songs. The list was compiled based on chart points earned at the time each record was on The Billboard Hot 100 Pop Singles Chart. Sales only comes into play as it relates to each record's particular chart position at the time. I agree whole-heartedly that "My Girl" is by FAR the more recognizable and associated tune with The Temptations ... but both records reached #1 on the Billboard chart. When "My Girl" first came out in 1965, it spent a total of 13 weeks on the chart ... eleven of those in The Top 40, 8 in The Top Ten and one week at #1. By comparison, "I Can't Get Next To You" (in 1969) spent 17 weeks on the chart, 15 of those in The Top 40, 11 in The Top Ten and TWO weeks at #1. Enjoyed your Sweet 16 this time around, especially #15 by Smokey Robinson ("Being With You"). Hadn't heard that one in a long time. If this were Motown's biggest 16 of all time, I couldn't help but wonder what the LEAST biggest (?) 16 of all time would be. Put me down as a second to Brad's listing of the top 16 obscure Motown hits, er, non-hits. One of the first records to come to my mind was a record out of 1960 which was somewhat of an answer or follow-up to Larry Verne's MR CUSTER. The record was called CUSTER'S LAST MAN by a group known as Pop Corn and the Mohawks, if you can believe that. Somebody by the name of Berry Gordy and Smokey Robinson co-wrote it. Incidentally, tell Davie Allan I got out his 1965 APACHE '65 and played it again. Loved hearing that version again. And when I said I played it, I am talking about the original 45, not you tube. Flip was BLUE GUITAR. Have a great day. "Layla" was also about her. When was the last time you heard a Patti Boyd Triple-Play? An Interesting (If Unlikely) Pairing ... And Another Forgotten Hits EXCLUSIVE! One article that immediately caught my eye came from the issue celebrating 1966, originally published in late February / early March of 1966 that talks about a very young, 19 year old David Bowie working on a film score and a television special with our Forgotten Hits Buddy, Tony Hatch. 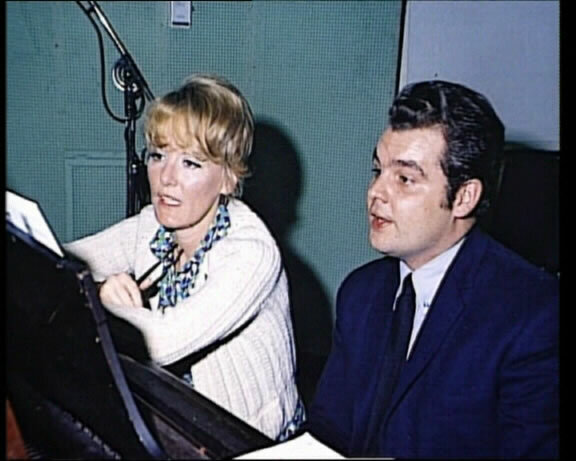 The article states: "Mr. Bowie, a 19 year old Bromley boy, not only writes and arranges his own numbers, but he is also helping Tony Hatch to write a musical score and the numbers for a TV show." I was quite surprised to see this particular combination as it just doesn't seem like your typical "fit". Were these two actually writing songs together??? 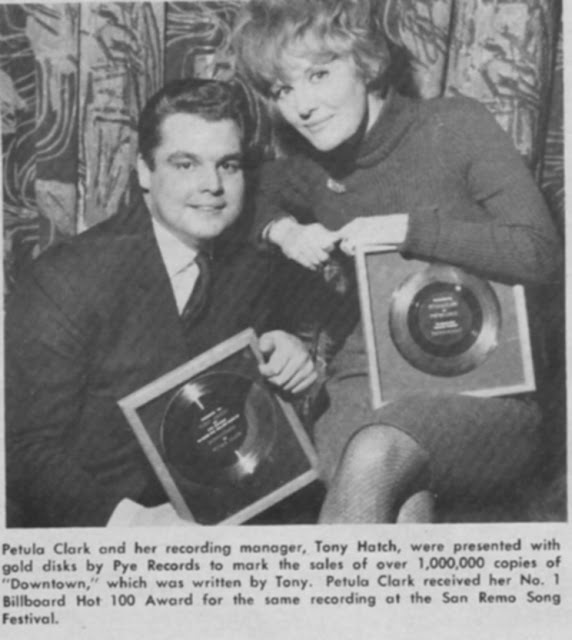 Tony Hatch, of course, was enjoying ENORMOUS success on the charts at the time with hit records by Petula Clark, Chris Montez, Bobby Rydell, The Vogues and more ... and Bowie, of course, wouldn't have an impact here in the States for several more years ... but, based on this particular article, it sounds like he was already getting great reviews in early '66 in England and showing enormous potential. This sounds like the ramblings of a junior journalist briefed by Bowie's manager. It's more likely I was helping Bowie although I never took a share in anything he wrote when I was his producer. I didn't write any of this material ... they are all Bowie compositions. 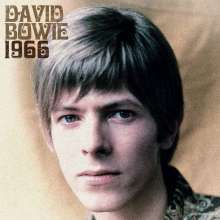 I produced David Bowie in 1966. We were also looking at film and TV projects but nothing came of them. He was well-known on the London scene in the early to mid-sixties but not nationally. Melody Maker and New Musical Express were both published in London and I guess that was the main area of their distribution. 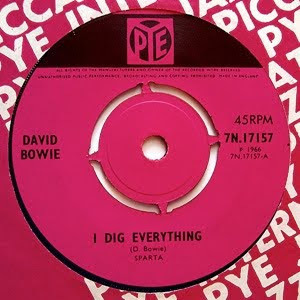 If you haven't got them I can send you the six Bowie songs that I produced and Pye released in 1966. You might be right about the exact timing of the name change but Wikipedia confirms that The Monkees were formed in 1966 and their TV series was being transmitted. Prior to his solo career, BOWIE did have other group names such THE BUZZ. It's possible that my first records with him were released as DAVID BOWIE AND THE LOWER THIRD but he certainly changed his name in '66 and Pye re-released a box set called DAVID BOWIE - THE PYE SINGLES. Check out Wikipedia. I think it's pretty accurate. (A) I DIG EVERYTHING / (B) I'M NOT LOSING SLEEP. 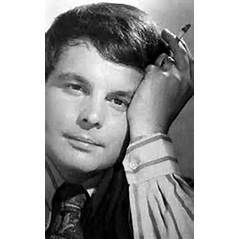 I asked Tony Hatch if he had any pictures of himself with David Bowie and he said that sadly, he didn't. I also wondered if Tony kept tabs on Bowie's career after they had worked together so early on. As an in-house record producer (A&R Man) for Pye Records in the 1960's, one of my roles for the label, alongside producing cast recordings and instrumental albums, was the development of new young talent. Despite enjoying hits with Liverpool's The Searchers and getting close with bands from Sheffield and Manchester, there didn't seem to be much happening in London. Then Ralph Horton invited me to a London club to see young Davy Jones and The Lower Third performing songs he'd written. The Searchers didn't write songs so I was very anxious to sign an act with their own source of material. Davy Jones seemed to tick all the boxes and we got on well. He was quickly signed to the Pye label and there was no delay getting him into the Pye Studios to record his first tracks. 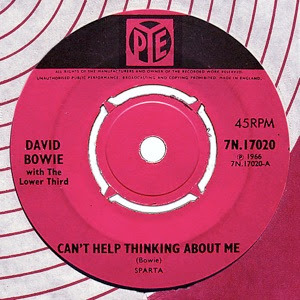 There is some confusion as to when he actually changed his name from Jones to Bowie but I'm pretty sure his first single with Pye in 1966, 'Can't Help Thinking About Me' c/w 'I Say To Myself' was released as David Bowie and The Lower Third. Two more singles followed in that year as David Bowie but we couldn't get the hit we needed and I was tremendously disappointed when Pye's MD told me I needed to cull my roster of artistes. It's hard to pinpoint a specific reason why we failed. Maybe the magic hadn't kicked in - or maybe Pye failed to realize what a unique talent he was or just didn't know how to promote it. It didn't surprise me, then, when David Bowie got his first big success and launched a career that would see him develop into one of the world's most uniquely creative artists. I can say with some pride, however, "I told you so"! He was DEFINITELY calling himself David Bowie in early 1966 ... BEFORE anybody had a CLUE who The Monkees were. 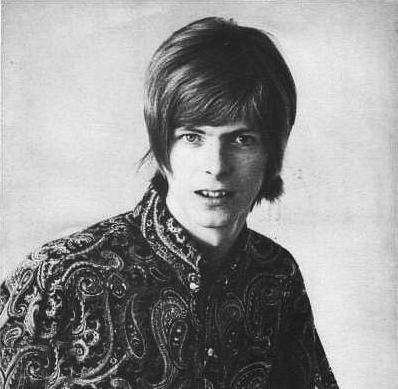 Bowie's first release came in 1964, when he was fronting a group called The King Bees ... at the time he was still going by his given name, David Jones. 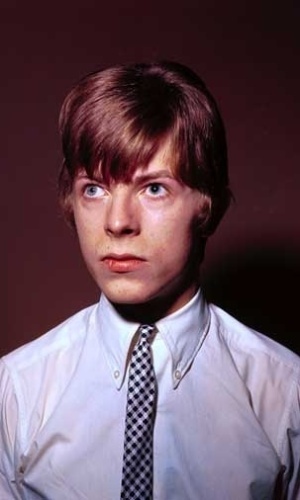 According to VH1's Rock Encyclopedia, Jones adopted the name "Bowie" in January of 1966 while recording with The Lower Third after signing with Pye Records. His manager, Ken Pitt, suggested a name change so as not to be confused with Davy Jones, a member of a new US made-for-TV group, The Monkees. I suppose it's possible ... the first ad announcing auditions for The Monkees ran on Wednesday, September 8th, 1965 ... Jones had reportedly already been guaranteed a role in the series because of his contract with Screen Gems ... so he never really had to go through the whole auditioning process. With that thought in mind, it is quite likely that word got back to England (since that's where Davy was born and raised) and the name change was instituted ... even though the series wouldn't premier until a full year later in 1966. Davy was also already appearing in the teen fan magazines prior to landing his role on the television series ... and, in August of 1965, already released a solo single (ironically as David Jones) that reached the lower region of the American charts.